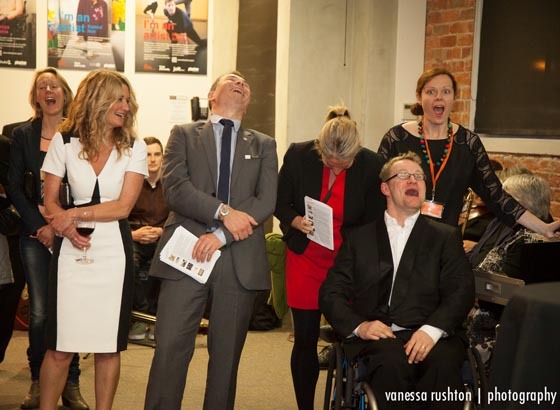 The next stunning Awesome Arts Access Auction will be on Wednesday 30 September at 6pm at CQ Hotels Wellington on Cuba St.
Like a ‘Business After 5’ event, this is networking for great cause – increasing access to the arts for everyone – particularly people who have a disability. This fun and elegant event swings to live jazz courtesy of the famous Rodger Fox with fabulous hospitality from the excellent team at CQ Hotels - famous for hospitality and accessibility. Guests enjoy bidding on fabulous art, tickets to entertainment, theatre, music and shows, travel and accommodation packages, restaurant meals, collectables and gorgeous things! Auctioneer Peter Wedde of Peter Wedde Antiques in Kelburn will take your bids with delightful flair! Each week this on-line catalogue will be updated with announcements and the new auction items added to the catalogue. Tickets are only $20. To purchase tickets, please contact Dawa by email or call (04) 802 4349. 1. A luxurious night at Huka Lodge. A one night stay at the famous Huka Lodge with five course dinner and breakfast included. Huka Lodge nestles on the banks of the mighty Waikato River, upstream from Huka Falls. Drive to this award winning lodge courtesy of a prestige car from Gazley Motors. 2. Weta Workshop collector item. 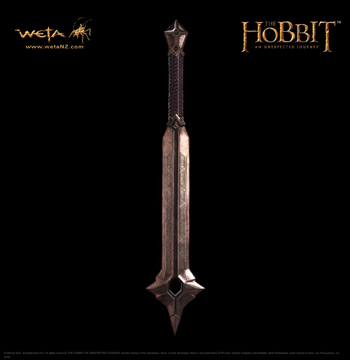 Balin's Mace was created for the film The Hobbit: An Unexpected Journey by the artists at Weta Workshop. This prop replica has been created from molds of the original weapon used in the film. Balin's Mace comes with a reinforced polystone wall plaque for display, pride of place, on your wall. 3. New Plymouth getaway. This getaway package includes a Gazley Motors prestige car, one night's stay at the Nice Hotel and two tickets to Swan Lake performed by the Russian National Ballet at TSB Showplace. The Nice Hotel is a boutique hotel and restaurant offering sophisticated comfort and award-winning dining in the heart of New Plymouth. This luxury night's accommodation in a suite with dinner for two and breakfast for two includes early check in, late check out, free parking and WiFi. 4. 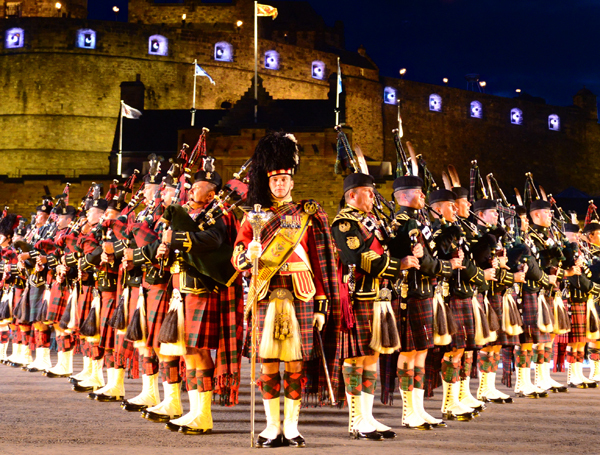 Double pass to the Royal Edinburgh Military Tattoo. Two A-reserve tickets to the New Zealand Festival's Royal Edinburgh Military Tattoo opening night on Thursday 18 February at Wellington's Westpac Stadium. Featuring a cast of 1200 incredible performers, witness this magnificent spectacle of music, dance and precision display. The traditional Celtic Massed Pipes and Drums, Military Bands and Highland Dancers are joined by a selection of the best cultural and military performers from around the world. Tickets valued at $189 each. 5. The ultimate stress-free dinner party for eight. Renowned Wellington caterers Simply Food will send two staff to your home to do all the work and present a simply delicious dinner for you and your guests. Relax knowing everything is taken care of while you and your guests are treated to an unforgettable dinner. 6. A New Zealand Festival package for two. Bid on two invitations to the New Zealand Festival opening night party as well as a double pass to two shows of your choice on the Opening Weekend, 26-28 February. These tickets to the theatrical and social event of the year are valued at approximately $400, depending on which shows you choose to see. 7. Artwork by Daniel Phillips . 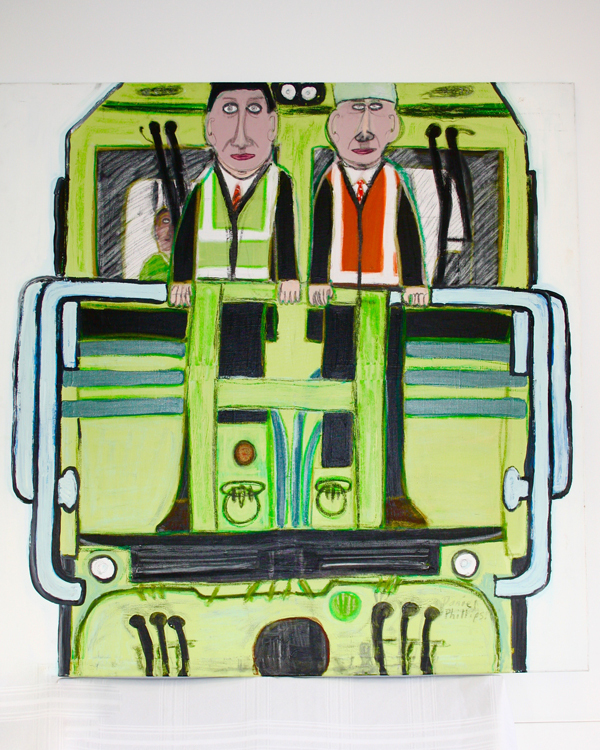 Celebrated self-taught artist Daniel Phillips has donated this large painting on canvas titled A Train Number 8022 (approximately 120cm x 120cm). He creates art inspired by his favourite themes: travel, planes, trains and artist models at local creative spaces, Mix and Alpha Art Studio. 8. A stunning bouquet from Flowers Manuela. Famous for its stunning designs, Flowers Manuela on Cuba Street offers you a stunning bouquet to take home. 9. Artwork by Fraser Hoffe. Fraser was a featured artist in the national I’m an Artist Campaign. The Wellington self-taught artist creates art at Vincents Art Workshop and Pablos Art Studios. 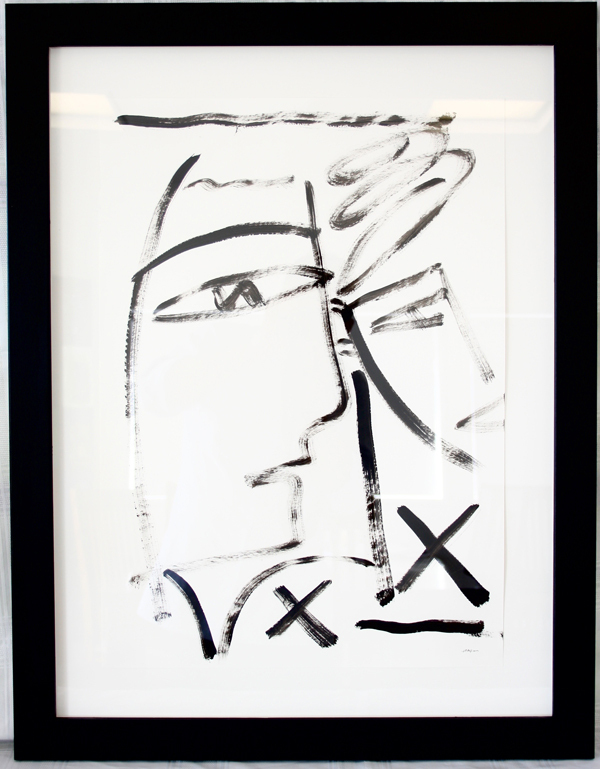 Fraser’s artwork has been widely exhibited in New Zealand, including the Mental Blocks exhibition and the New Zealand Art Show. 10. Artwork by Bill Allan. Bill Allan creates art at Pablos Art Studios. Bill trained at Ilam School of Art and has been a member and regular exhibitor at the New Zealand academy of fine arts since 1982. Bill has works in many collections and was included in Elva Bett’s ‘New Zealand Art – A Modern Perspective’. 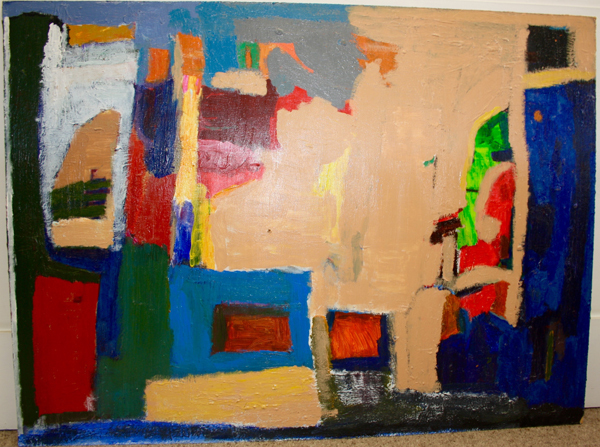 Painting approximately 60.5cm x 78.5cm. 11. ‘Lots of Houses’ by Tim Badrick. Tim Badrick, of Alpha Art Studio, uses flat colour to depict geometrical and symmetrical urban/suburban scenes in his artwork. Tim also uses themes of home and the people who are special to him. 12. ‘The Lines’ by Christina van der Hooft. 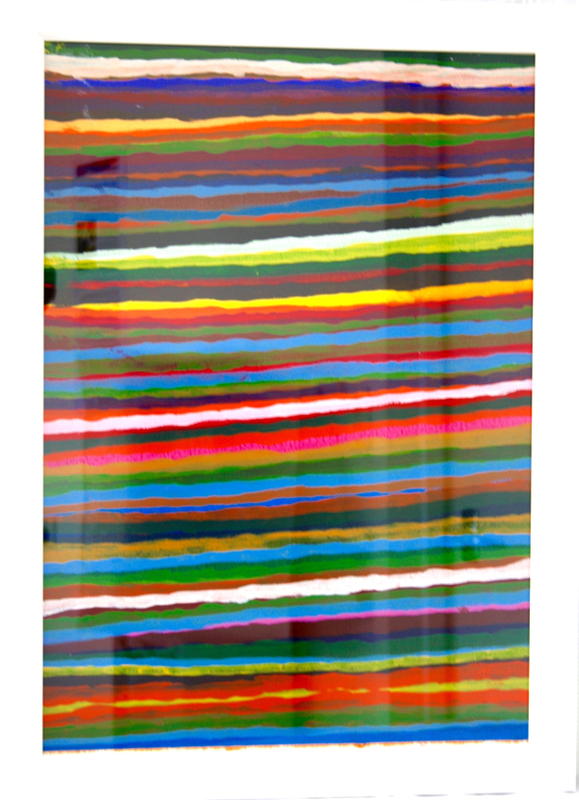 This exciting artwork from Spark Centre of Creative Development artist Christina van der Hooft is called "The Lines" 2015 and is acrylic on water strength paper (48.5cm x 66cm). 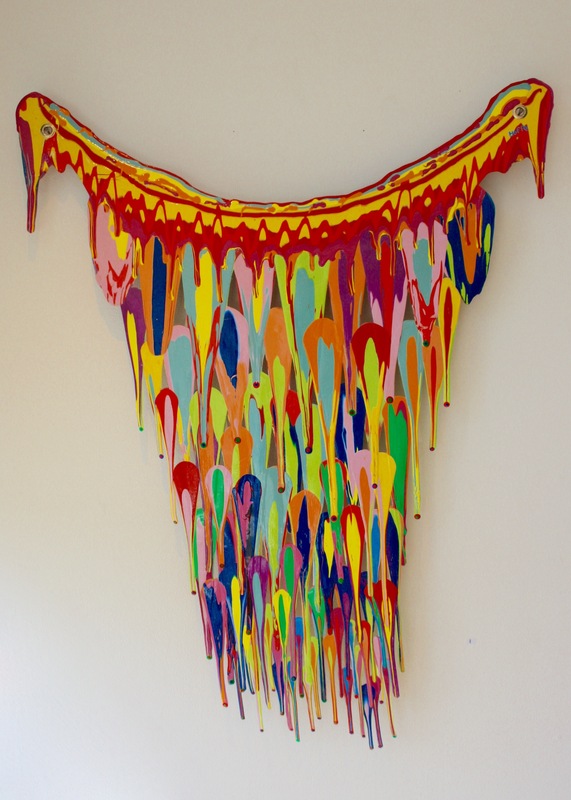 Christina works with very decisive clean colours and repetitive, calculated methodologies. 13.‘Aromoana’ by Portage Ceramics Award winner Robert Rapson. 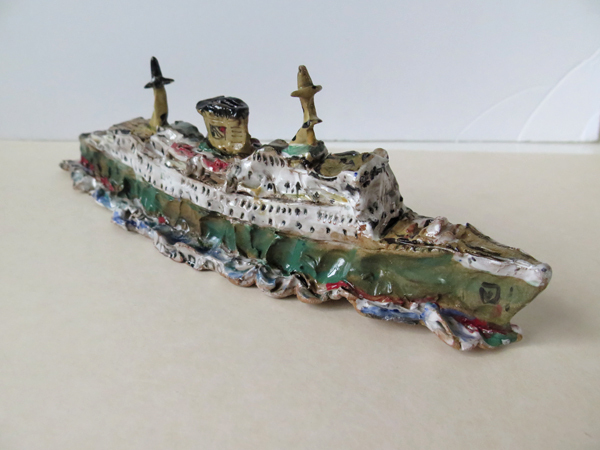 Robert Rapson is a highly collectable ceramist, who creates art at Mix in Hutt City. Robert was the recipient of the national Portage Ceramic Award 2013 and the Arts Access Artistic Achievement Award 2014. Robert has exhibited in North America and Paris. 1. Artwork by Fraser Hoff. 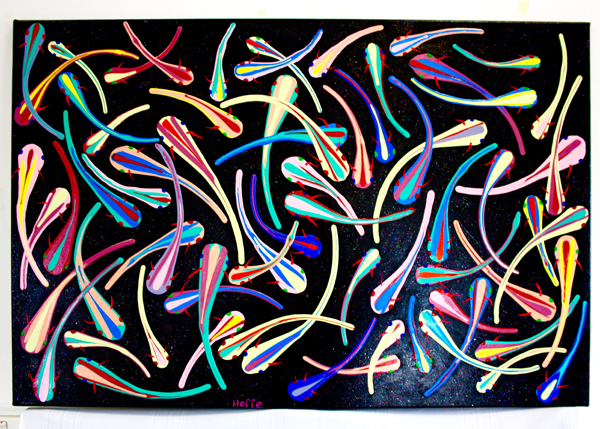 Fraser Hoffe is a Wellington self-taught artist who creates art at Vincents Art Workshop and Pablos Art Studios. This art on canvas measures approximately 94cm x 64cm. 2. A three month gym membership. Get fit with a three month membership at Les Mills Extreme, on Taranaki Street, worth $400. 3. Chocolate gift basket. Schoc Chocolates offer a unique blend of gourmet chocolate and self-exploration. With 60 flavours in the chocolate tablet range alone, there is a chocolate that is perfect for you. 4. A family pass to Space Place. 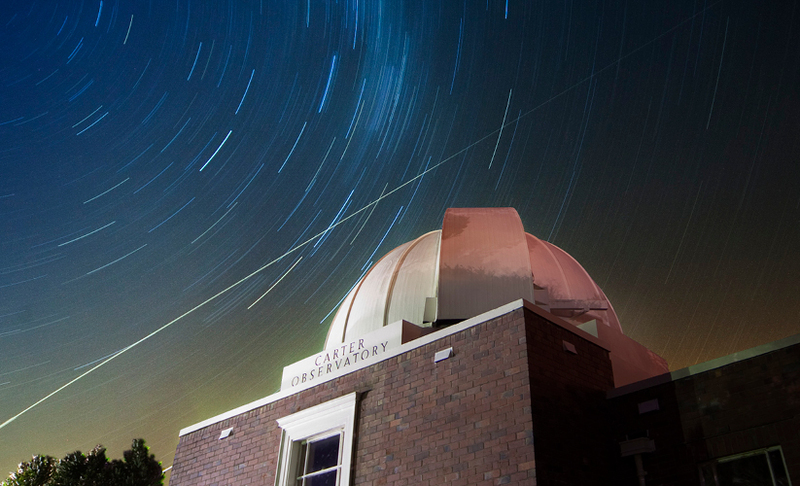 Museums Wellington has donated a family pass to Carter Observatory's Space Place. Discover the stories of our southern skies through Space Place's multimedia exhibition and digital full-dome planetarium. 5. Beautiful cosmetics and beauty products gift basket. Unichem Cuba Mall has prepared an amazing gift basket for a lucky bidder to win cosmetic and beauty products, including a Trelise Cooper mini cosmetic bag, valued at $300. 6. Do you want a THREE-MONTH supply of coffee?! Wellington coffee roaster, Emporio, has provided the ultimate essential - a three-month supply of their delicious coffee. One lucky bidder will get 12 bags of plunger grind coffee. 7. A double pass to see any show at Circa Theatre. Accessibility champion Circa Theatre has donated a double pass to see any show in the Circa 2015 Season catalogue. Before the show, enjoy an antipasto platter for two and 2 x 200ml bottles of Lindauer from Encore Restaurant. 9. Two tickets to The Rodger Fox Big Band concert with Chris Cain plus CD. 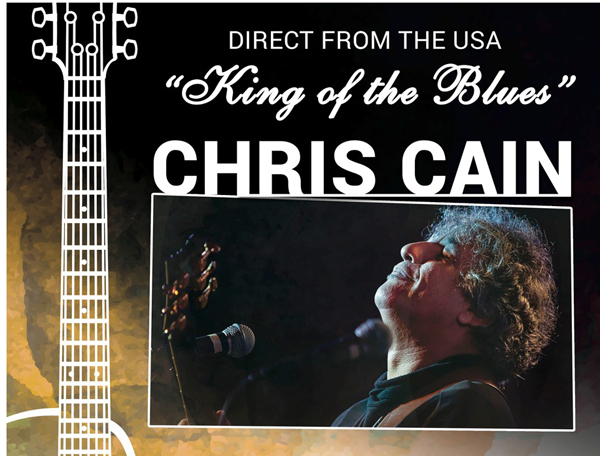 Two tickets to the upcoming concert "King of the Blues" with Chris Cain an American Blues Vocalist and Guitarist joining The Rodger Fox Big Band and special guest Erna Ferry, on 9 October 2015. The Rodger Fox Big Band will be releasing a CD of the concert and you'll be one of the first to own a copy! 10. Two family passes to Zealandia. 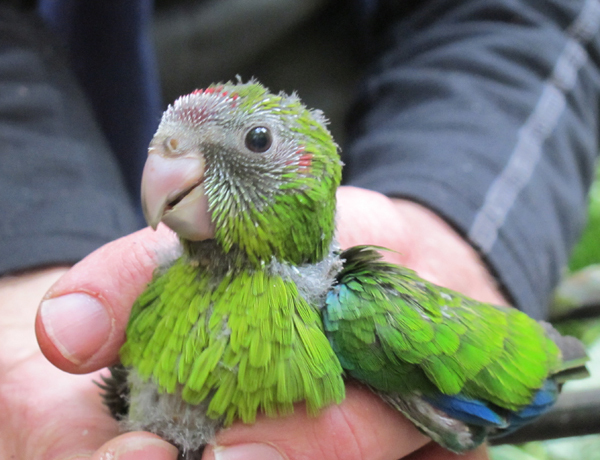 See some of New Zealand’s rarest birds, reptiles and insects living wild in their natural environment with two Zealandia family passes. Each family pass is valued at $44 and allows two adults and up to three children entry to Zealandia, the world’s first fully-fenced urban ecosanctuary. 11. Olive oil by Lot Eight. Take your taste buds on an epicurean adventure with a delicious selection of goodies from award-winning artisan olive oil producers LOT Eight. 12. Classic New Zealand books. 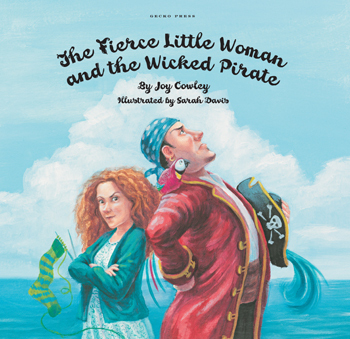 From two Wellington award winners … Gecko Press and New Zealand’s word-renowned children’s author Joy Cowley have donated signed hardbacked copies of two children’s books: “The Fierce Little Woman and the Wicked Pirate” and “Just One More”. These are the perfect Christmas present! 13. Show your love with morning tea! Nikau Café will provide morning tea treats for up to 12 people, the fine details may be discussed with Nikau’s lovely owners Paul and Kelda; perhaps you’d like to go for 2 morning teas for 6 people, or 12 morning teas for 1? 14. 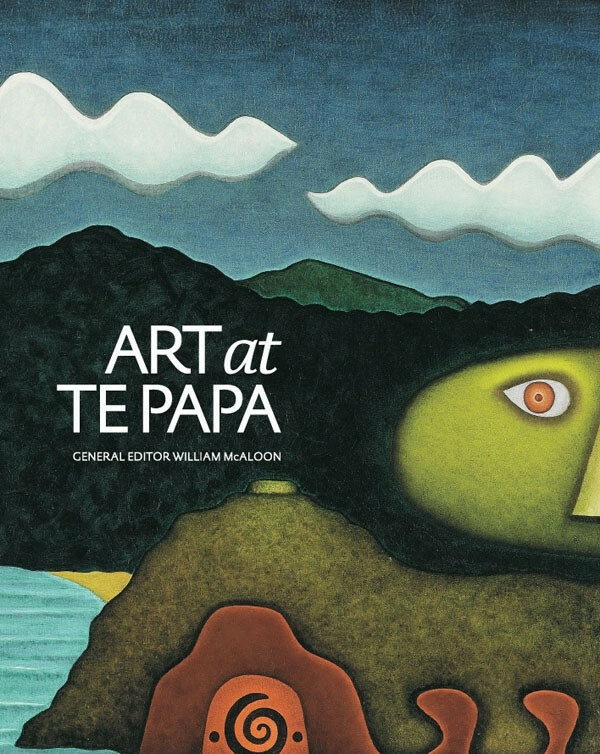 Art at Te Papa , a major new book from Te Papa Press. T he book spans the Museum’s collection – from superb early European prints to exciting contemporary acquisitions. Te Papa’s curators have selected more than 400 artworks, each one beautifully reproduced, and accompanied by an engaging mini essay. 15. Pony Lane package. Pony Lane is a Wellington-based online boutique store established by two sisters. 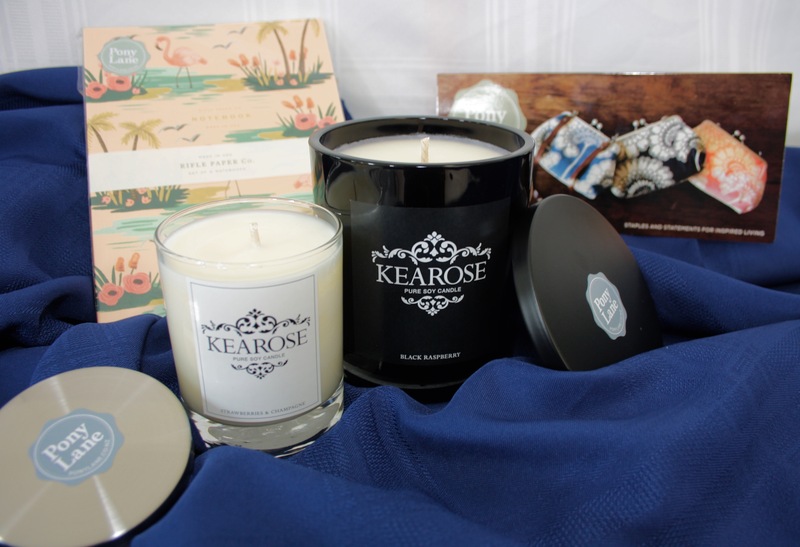 Affordable homeware, stationery, jewellery and gorgeous designer purses are their business. 16. 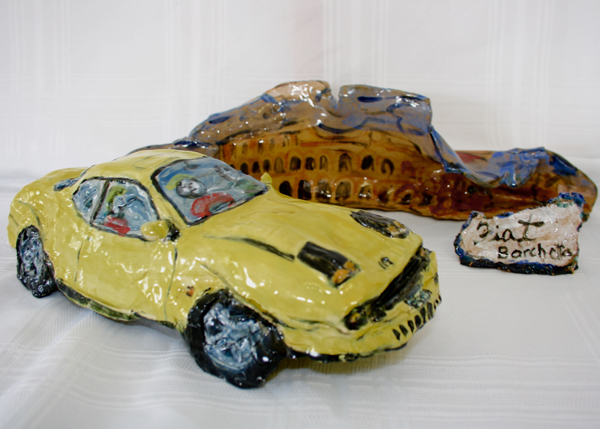 “Yellow car” by Portage Ceramics Award winner Robert Rapson. Robert Rapson is a highly collectable ceramist who creates art at Mix, a creative space in Hutt City. Robert was the recipient of the national Portage Ceramic Award 2013 and the Arts Access Artistic Achievement Award 2014. Robert has exhibited in North America and Paris. 17. A woven bag (individual). This traditional woven kete is made by men from Spring Hill Corrections Facility and Arts Access Award recipients the Mamas from Auckland Council’s Pacifica Arts Centre. Use this kete as a stand-out artwork in your home or as a unique basket. Made with recycled/ sustainable materials. 18. Bed and breakfast at Bay Plaza Hotel. One night’s weekend stay the Bay Plaza Hotel in Wellington, including breakfast for two. 19. Dining for two at Amora’s The Grill Restaurant. Dinner for two at Amora Hotel Wellington’s award-winning The Grill Restaurant. 20. Two tickets to Mamma Mia in Christchurch! Two A Reserve tickets to Mama Mia at the Isaac Theatre Royal in Christchurch. Tickets available from 2 April until 17 April 2016. 1. A double pass to Roxy Cinema and a platter. Here is a chance for you to see one of the latest films at the destination Hollywood Art Deco themed Roxy Cinema in Miramar and enjoy a Peninsula platter before the film. 2. The perfect hamper. 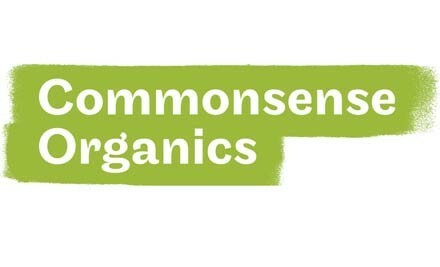 Your lovely hamper from Commonsense Organics is full of organic and allergy-aware food, environmentally friendly products and fair trade goods. Value - $100. 3. Club Floor Bed and breakfast in the city. One night’s accommodation at the InterContinental Wellington and breakfast for two. Original generation time 3.0767 seconds. Cache Loaded in: 0.0406 seconds.